Looking at the November issue of Rye’s Own and the article about the burning boat emblem of the Bonfire Boys bought back memories of one old fisherman Jacob “Shad” Gibbs and another burning boat. I thought it would be nice to just write about him from what I know and what I can remember about him. He was my Great Grandfather and I remember him with great love and affection. 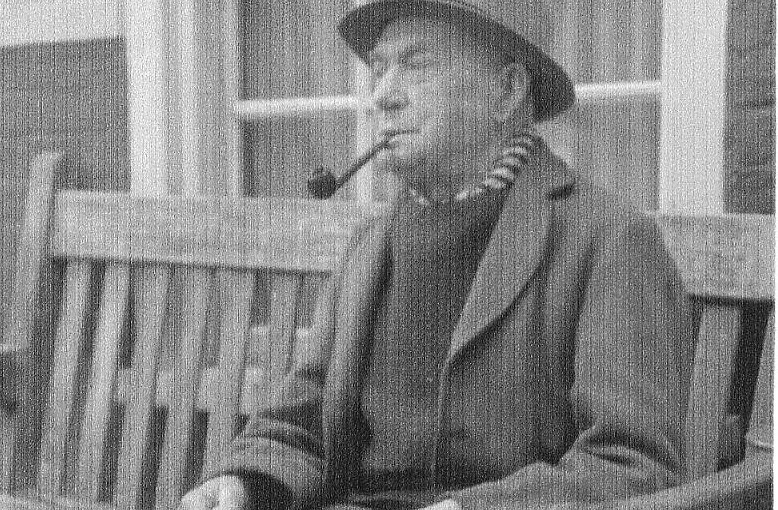 Jacob was born in 1865 in Rye, his father and four brothers were all from Rye and were all fishermen as he was to become at the age of 11. From 1888-1890 he served as mate under skipper W. Bourne on the trawler S.S.Pionerre and from 1893-1897 he was the third hand under Master J.M. Breeds on the S.S.Crusader. He married around the age of 22 to Mary Jane Small, who was a Rye Harbour lass and was married for over 50 years until her death in 1937. Jacob and Mary Jane had 2 sons and 4 daughters, lived in Rye for a few years and then Rye Harbour. Jacob sailed in numerous vessels and became a familiar figure to fishing communities from Newhaven to Folkestone. During the First World War when he lived for a time in Newhaven he served first in the Territorial Force and then asked to be transferred to minesweepers and served as a Petty Officer. At the end of the war he and his wife settled back in Rye Harbour still continuing to fish until the death of his wife where he moved to Rye and lived with one of his daughters Mary Jane Ditcher (my Grandmother). In Jacobs younger days he was suppose to have been the ringleader of a group of young men, where they secreted a boat of some unfortunate fisherman and set light to it and drag it through the streets of Rye where it is believed to have got stuck in the Landgate. He was caught red handed and imprisoned in Ypres Castle for 3 days. Jacob carried on fishing throughout the Second World War and fished until he was 80 years old. 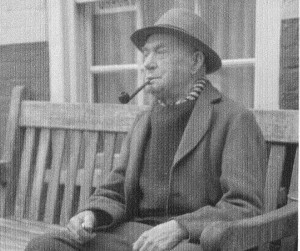 At this time he was skipper of the Dorothy Margaret and because of failing eyesight had to stop fishing. A family story I was told was that during the Dunkirk evacuation he took part in taking the Dorothy Margaret to rescue the soldiers on the beaches but I have no evidence to support this. His activities in his retirement was to grow a few vegetables and get me at the tender age of 7 to go round his cabbages, take off all the caterpillars for which he would give me a threepenny piece. His other enjoyment was to go to his local The Ship Inn for his daily pint or two depending if there were any visitors or not. If there were visitors it was nothing for him to entertain them by tap dancing on a table, of course some of his fellow fishermen would egg him on and so visitors would buy them pints. He also used to walk to the gasworks, smoking his pipe, where all the old “Salts” (fisherman) used to gather and talk about old times and for any one passing by would ask them what the weather was going to be, nine times out of ten they would be right. He was up until his death, the oldest member of the Rye branch of the British Legion, he had joined on its formation. Jacob was also very popular as a model with the art students at the Rye Further Education Centre and a portrait of him painted by the then Mayor Councillor Bagley who exhibited it in London, I would give anything to know exactly where it is now and to able to purchase it. On a couple of occasions he was interviewed by the Canadian Broadcasting Company who were making programmes on Rye and the people of the town, these all took place in Cyprus Place. What do I remember of him? Well I remember him as a kind, affectionate and intelligent man who until the day he died wore his fisherman’s jumper and hat and earring hoop. In his young day it was worn as a lucky symbol so that the God of the sea could catch them by the ring and save them, or so he told me, but that could have been just one of his sea yarns where he would capture my imagination and hold me spell bound. He used to sit me down usually at his feet and tell me old sea yarns and I would listen in earnest and he would make me laugh. I spent quite a lot of time with him and I cannot remember a day that passed that I did not see him. I was also very fortunate that, his eldest daughter my grandmother had moved two doors away from where I lived in Cyprus Place. When I was around the age of 4 years old I can remember we used to spend Christmas with my Grandparents, (Ditcher) when they lived in Winchelsea Road. They were old fashion Christmas’s where the whole family gathered and each Christmas morning Jacob would stand the great grandchildren in a line with their little mugs of tea and put a teaspoon of whisky in, it is a tradition that I have kept up all of my life. My Great Grandfather suffered a stroke in the early part of 1956 and was admitted to St. Helens Hospital where he stayed for a short while. He then went to live with his other daughter Alice in Lewes until his death at the latter end of that year at the grand age of 91. The last time I saw him was in St. Helens as in those days my family like a lot of others did not own a car. The day he died I lost my only Great Grandfather but a dear kind lovely person in my life, till this present day when I look at his photo’s or show them to people I remember him with a lot of affection and love that will always stay with me.